You look from a distance. The green sward stretches invitingly between sets of goalposts across the level playing field. Could be a perfect surface for skilful flowing football. Look closer and, if you’re well booted, dare to tread. Your feet sink into the mud, splattering from ankle to thigh. Try to run, or kick a ball, and you’ll spin like a motor-driven tyre. For this is January in East Sussex: the clay soil has been absorbing torrents of rain for weeks; the grass, uncut from October onwards, has sprouted over it in thick tufts. It’s a bog. And when the pitch dries eventually, as it will in the warmer sunshine (let’s hope) and blustering winds of spring, it won’t be much better for football of any quality: footmarks breaking the surface will have hardened into hollowed ruts and pitted furrows – if not ankle-breaking, then at least rendering control of the ball, as it bobbles aberrantly from one mud-dried hillock to the next, a dismaying lottery. Was it not always thus? Or, alternatively, isn’t this just the combined result of the unseasonably mild temperatures and heavy rains we have suffered this particular winter? Well, the amount of rain that fell in December, as measured at the metereological station at Herstmonceaux, was a little above winter average – or what used to be winter average. But here’s a thing: if you average out statistics for local winter rainfall (December, January and February) in five year periods over the two and a half decades from 1986 to 2011, a consistent pattern emerges of an average monthly fall between 69 and 77 millimetres. Over the last four years from 2011 – and omitting this winter, which is hardly going to reduce the average even if there’s a drought in February – that monthly figure has risen to 103.5 millimetres, an increase from the previous norm of around 37%. So if as an older footballer you remember winter pitches being less often waterlogged than they are now, it may not be just the rose tints of memory. Of course there are other factors. 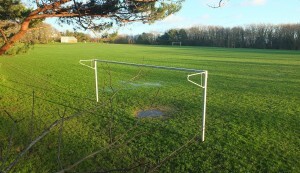 Almost all pitches in the East Sussex League are Council-owned, with maintenance of them sub-contracted to commercial concerns. The amount of money offered to these sub-contractors has been cut as austerity bites upon public budgets. And there is no monetary incentive for pitches to be kept playable. The Council may lose income if football matches are cancelled, but the sub-contractors are paid regardless, able to blame the vagaries of the weather. Whatever the amount of rainfall, pitches would wear better if the grass on them were mown consistently short. Though they might appear muddier superficially they would obviously dry much quicker in sun and wind, and retain a more level surface as the grass grew back. It’s not happening. In 1994/95 Saturday afternoons saw up to 117 teams of adult males ranged in 11 divisions playing 11-a-side football below professional level in the East Sussex League, which covers the eastern part of the county (Hastings, Rother, Eastbourne and Wealden districts, but omitting Crowborough or Brighton). There were also five divisions of the Hastings Sunday League. Sunday football dwindled, then disappeared four years ago. Participation on Saturdays has virtually halved, with 62 teams competing this season in six divisions of the ESL, some of them struggling on occasion to put out a team. But it’s not just here: along the coast the Brighton & Hove League has recently amalgamated with the Worthing League in order to survive. When asked why there has been such a steep decline the Development Manager of the Sussex County FA, Paul Saunders, told me that “the FA continues to encourage as many people as possible to participate, but recognises that this may be in recreational football rather than traditional 11-a-side”. He also maintained that the success in recent years of local professional clubs, Brighton and Hove Albion and Crawley Town, was attracting players and volunteers away from grassroots involvement. I put these points to local footballer Harry Crane, 25, who turns out regularly for St Leonards team Peche Hill Select in the second division of the ESL (or would do if they ever got to play – the last time his team had a fixture in or around Hastings that wasn’t called off was 5 December). Although Brighton’s move to the Amex in Falmer has brought the opportunity to watch elite football a lot closer, Harry doesn’t think that is a significant factor. He also made it clear that from his own standpoint 11-a-side remains the real deal. He likes the physicality of slide-tackling, challenging for headers, the ball in the air. However he readily agrees that a lot of his mates and workplace colleagues prefer to play midweek 6-a-sides indoors or on artificial surfaces. Part of this preference stems from the natural advantages of the small-area format. You get more touches on the ball, you play more intensely so it takes less time. It is also easier to organise. In Hastings the venues manage the schedules, so you don’t need a club secretary or committee; there is no requirement to register players, nor to be regulated by the FA. Moreover 11-a-side demands a commitment to the team that you will make yourself available to play, home and away, every week for the eight months or more of the season; at the more serious levels, that you will also aim to train one or more evenings midweek. Once upon a time when employment was more highly regulated and unionised, most young men could keep their Saturday afternoons or midweek evenings free for football. In these days of shift work, zero hour contracts and 24/7 service provision it’s less easy. This change in work culture has arrived with a related change in attitudes to free time: in short, less willingness to commit it. On the other hand a recent FA survey into grassroots football, taken from nearly 30,000 respondents across the country, found that while players with access to “better quality pitches” would “like to play 25 per cent more often than currently”, those playing on “poorly-maintained pitches” are “likely to reduce the amount they play next season”. Or, I might add, this season too. The question of adequate pitch provision is one that I have addressed previously in this newspaper and will return to again. 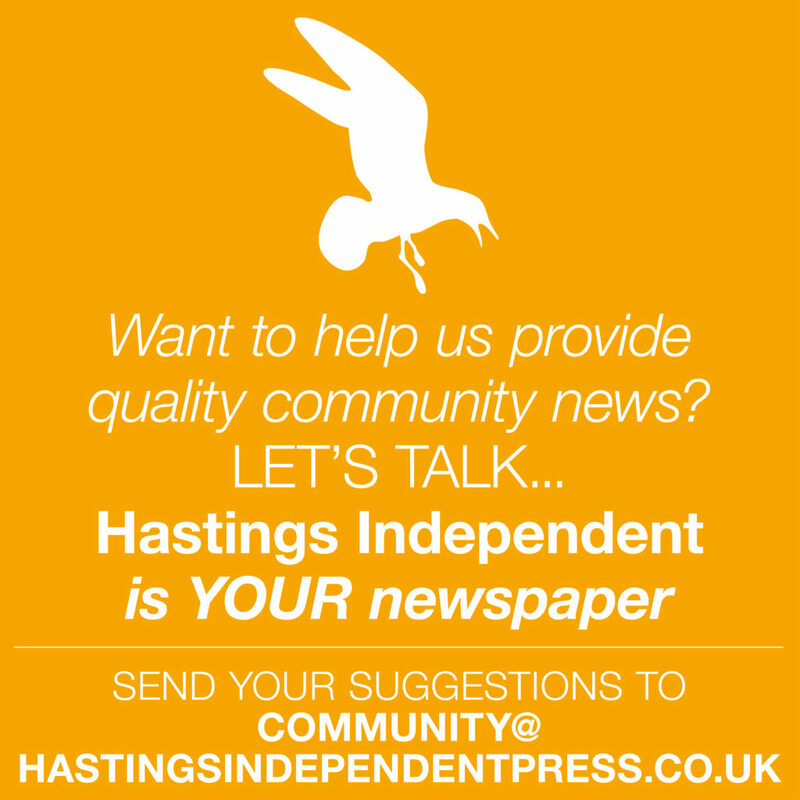 In the meantime I will be interested to hear further from any readers who would like to share their own experiences of current local grassroots football and ideas for a better future.